"she said we can get refund"
✅ Trip Verified | Birmingham to Amritsar. 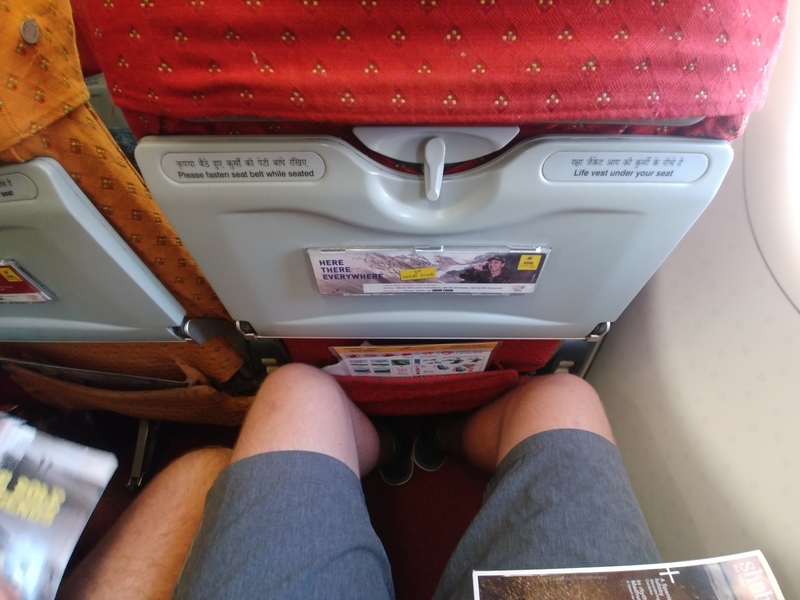 As my wife have pain knees, we thought pay for seats with extra leg room, paid £120 for both of us for both ways. When we arrived at check in desk Birmingham Airport, lady said are you both physically fit, I replied no, then she said you can’t have these exit seats, I have to assign you different seats. Plus she said we can get refund and gave me email address and phone number to contact Air India. I emailed them after 5 weeks they told me they can’t give me refund it’s on their website in term and conditions, I am sure I didn’t see that somewhere when I choose the seats. ✅ Trip Verified | New York JFK to Delhi. Air India is a wonderful airline. The service is great. The only problems are that the seats cushion are uncomfortable and the inflight entertainment screen is a pain to use. Otherwise everything else is good and the flight was on time. "very old with torn seat covers"
✅ Trip Verified | Dubai to Bangalore. 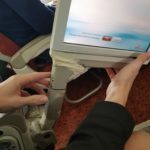 The aircraft was very old with torn seat covers and very poor seat cushions and cabin lighting. The food was decent, service was decent, but the drinks options were limited to only two. The toilets seats were very untidy with a lot unclean spots all around. The punctuality and timing were smooth. ✅ Trip Verified | New York to Delhi. The service is great. The problems are that the seats cushion is dead and the inflight entertainment screen is a pain to use. Otherwise everything else is good and the flight was on time. 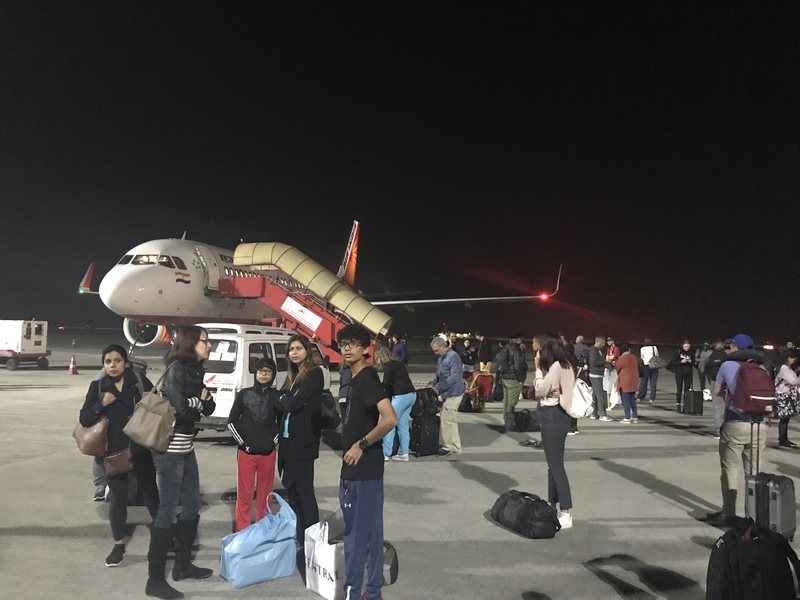 "I had a terrible experience"
✅ Trip Verified | I flew from Toronto by Air Canada and connecting flight from Heathrow to Delhi by Air India. 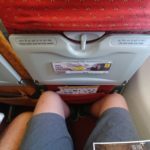 It was my first time flying Air India. I had a terrible experience. The flight attendants were so rude and unattended. When asked for coffee etc, the FA would throw the cup in front of you, twice it caused to spill the coffee on me. She lacked people skills big time. She looked miserable, no smile. She wouldn't even acknowledge you if you asked for assistant. It was obvious she didn't like the job she was doing. We were all strongly discouraged to travel Ail India in the future. "access to board flight denied"
✅ Trip Verified | Traveling from Paris to Thailand via Delhi, before getting onboard at Paris my wife was forced to write a form saying that she was not going to be more the one month in Thailand because of the fact that she only had a one way ticket and never the ground agent asked my wife anything about visa need it to travel to Thailand because of the fact the she is a Venezuela citizen and we were told that visa was no required because she was a US resident,. The three boarding passes were granted to her and then she boarded an Air India flight from Paris to Delhi, everything when fine until she landed at Delhi and was ready to take her flight from there to Bangkok where the ground personnel realized that my wife did not have a Thailand visa and after having the boarding passes in Paris by the Air India personnel access to board that flight was denied. 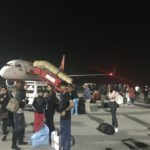 The Thai Airways ground agent when the extra mile and try to help my wife in any possible matter but her hands where tied and nothing more couldn’t been done, therefore the Thai personnel refer my wife back to the Air India agents and that’s where our nightmare started. First of all the agent was very rude, my wife English is very limited and when I ask her to pass the phone to allow me to talk to him and see what our options were, after having a very un respectful conversation with the agent he toss the phone back to my wife and refuses to talk to me, another agent with a very kind attitude helped my wife, unfortunately the decision was made and my only option was to buy another business class ticket to my wife back to Paris. My wife was a victim of disrespectful treatment by Air India Ground agents I can not believe after you dropping the ball and not following standard operating procedures in Paris in order to review documents to full paying business class passengers we have to be liable of paying another business class ticket and even worst to pay for hotel accommodations. The following morning she was escorted from her room to the plane, forced to board last after everyone else were onboard, after arriving in Paris she had to wait until all passenger deplane in order to wait for the flight attendant who was holding her passport illegally retained. ✅ Trip Verified | Chicago to Vadodara via Delhi . I travelled with my dad, my dad is 87 years old. In Delhi International airport. I waiting for wheel chair at least 45 minutes, then gave up and walked to Domestic airport, May be half mile. The airline ticket provided wheel chair, but they did not supply this. Not good service in Delhi International airport. "Avoid this airlines at all cost"
✅ Trip Verified | Leh to Delhi. Flight was cancelled, because of supposed bad weather conditions. 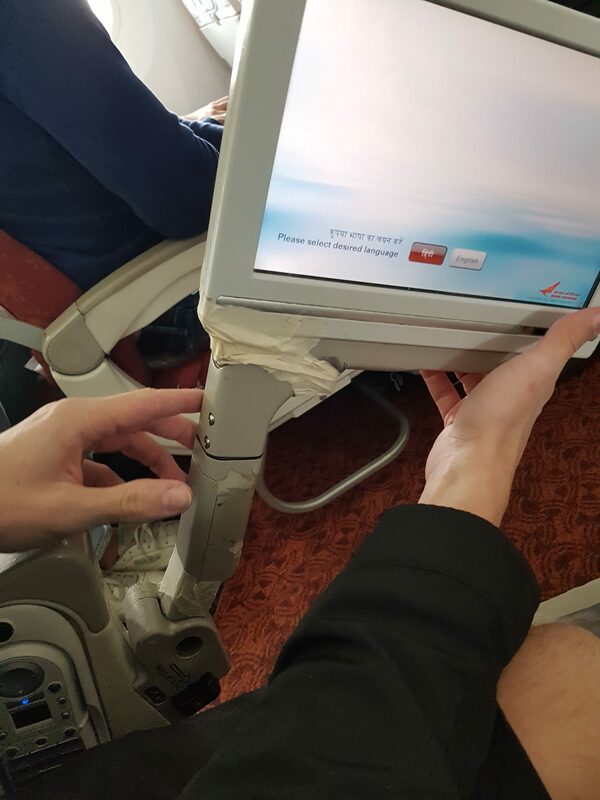 This did not stop other airlines from flying. Next day they just announced there is no aircraft to get passengers waiting overnight. I don't know what they were thinking. They didn't even let us in to the building with -15 degrees outside. Outrageous. After screaming and shouting they've let us on free seats at another flight. What happened to the rest passengers I don't know. Avoid this airlines at all cost. It's a joke. Staff manager at the airport was so arrogant, he made my girlfriend cry. Now they just ignore our emails with complaints. ✅ Trip Verified | Delhi to Hong Kong. I had the pleasure of flying Air India after a long time. What a pleasant experience it was. Comfortable seats, enough leg room, fantastic food, crew was superb. The flight was superb n landed 20 min before schedule. Thank you Air India.